The Nigerian Senate is inviting the Central Bank of Nigeria (CBN) governor to explain the amalgam of fees in the banking industry. Everything you do, there is a fee in the industry. It is extremely unfortunate that our banks have innovated excellently on extracting fees from customers at scale. Yet, I must note that some of those fees are not kept by banks; government is part of the party. Case in point: stamp duty fee for electronic transaction! The Senate on Wednesday asked its committees on Banking, Insurance & other Financial Institutions and Finance to invite the Governor of Central Bank of Nigeria (CBN), Godwin Emefiele, to explain why its approved official charges are skewed in favour of banks as against ordinary bank customers. The committees are also to investigate the propriety of ATM Card maintenance charges in comparison with international best practices and report back to the Senate. Mr Ashafa noted there have been several complaints from Nigerians generally and on social media concerning illicit and excessive charges by commercial banks on customers’ account with particular focus on ATM maintenance charges and ATM withdrawal charges. I have written extensively that the clusters of bank fees are actually part of the reasons why the financial inclusion is not working as designed. When an average customer spends around N300 to N500 in a month on fees, you would get the idea why some Nigerians run away from banks. But in Nigeria, there are many entries on all kinds of fees. I used to work in the bank in Lagos. But then, it was Commission on Turnover (COT) – this is the fee, the bank imposes on your account for actually withdrawing your money. I have called it one of the most ingenious products that propelled the new banking era in Nigeria. Without COT, there will not be many new generation banks. They offered better services than the dinosaurs of the older banks, but needed to monetize the obvious preferences of their services in order to invest in technology and new operational models. Customers knowing the value in better service did not complain. The COT provided easy cash and they triumphed, took market share from old banks. So, even if they do not make loans to earn interests, provided that customers are coming and withdrawing money, they would make money. That is a setup that will never fail. They bring the customers with efficient services and then charge fees on their accounts as they do transactions. Get me right, the fees are actually a better deal if you are a middle class with change. It is far cheaper to save your one hour to watch Zee World by parting with N52 which you may pay as a fee to send money electronically. But that N52 does not come easily to many Nigerians. That is the reason why our financial inclusion remains low, according to some numbers from NIBSS (Nigeria Interbank Settlement System). 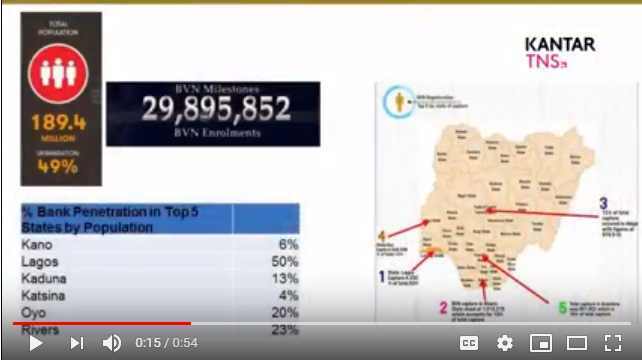 Yes, Katsina has about 4% banking penetration using BVN (Bank Verification Number) data which is the most reliable in the nation. According to the piece by Premium Times which was refereed above, the maintenance fees charged by banks on card maintenance stand at N600 per year as contained in “Guide to Charges by Banks and other Financial Institutions” which CBN published. It used to be N100 per year. Of course the most troubling fee is the N65 which happens when one uses an out-of-network ATM from the 4th time in a month. In other words, there is no fee for the first three uses for any 3rd party ATM but once that is exceeded, any subsequent use attracts N65. While that fee is disclosed, the problem here is that some banks do rig the system by making sure people pay that fee not necessarily by choice. These are issues the consumer protection watchdog should be dealing with in the nation. Mr Ashafa also expressed worry that most banks have deliberately manipulated their ATM not to dispense more that N10,000 per withdrawal in some cases and in most cases not more than N20,000. “This is a deliberate ploy to manipulate the ATM machines which are ordinarily manufactured to dispense as much as N40, 000 per transaction, in order to attract more bank charges from customers who are forced to carry out more transactions due to the manipulated machines. “It appears the CBN is becoming insensitive to the plight of Nigerians who are already complaining of excessive charges by commercial banks. If the CBN is trying to encourage a cashless Nigeria, why should they be making it more difficult and expensive for Nigerians to do transactions,” he said. Of course while the Consumer Protection Council (CPC) has been going after DStv, protecting the interest of rich Nigerians who can afford shows, the real ordinary Nigerians are not protected by CPC when it comes to bank fees. The banking fees are more urgent issues than what DStv does with its pricing: we can live without DStv but there is no nation without banking! CPC should focus more on bank fees on all Nigerians over pursuing fees DStv is charging Nigerian middle class. For most Nigerians, you cannot charge them N1,200 for card issuance or renewal and then collect another N600 yearly on top of that. And whenever they make a transfer, there is a stamp duty for an electronic transaction. In all these cases, the customer cannot opt out because the alternative, using tellers is even more expensive. So, due to these fees, the only thing most poor customers do is to stop banking and use their pillows to store the little money they have. That may not be the expected thing CBN had hoped for, but its policies and what the banks are doing are simply enabling such decisions across the nation. The Federal Government of Nigeria is planning to privatize Nigerian Postal Services (NIPOST). I expect the price tag to be at least N100 billion. Why? Provided the electronic stamp duty remains in the Act, there would be no risk for buying NIPOST. You can recover at least N40 billion from its real estate across Nigeria. The balance will come from stamp duty which banks help you collect as Nigerians make electronic transactions daily. The Bureau of Public Enterprises (BPE) on Thursday announced plans to generate N400 billion from the privatisation and concession of six Federal Government enterprises, including Afam Power, NIPOST and four others this year. The N400 billion, according to BPE, is part of its funding for the 2018 budget, which it ought to generate. Yes, you just wait for banks to send you N50 for any electronic transaction as stamp duty. The good news is that you do not even have to print any stamp since the “stamp” now is digital. This is how lucrative NIPOST is: it is making money without having to move any package because Nigerians pay for stamps which are electronically issued! All received credit alerts to your bank account (current or savings) attracts a 50 Naira stamp duty charge. The Receiver pays the 50 Naira, not the sender. So you don’t get charged stamp duty for debit transactions. All stamp duty charges collected by Deposit money banks and other financial institutions are paid into the Nigeria Postal Service (NIPOST) collection account with the Central Bank of Nigeria 3000047517. What the federal government chooses to do with this new revenue stream is yet to be established. Nigeria needs to reform fees which banks and the government charge bank customers if the nation ever hopes to move the needle on financial inclusion. You do not expect extremely price-sensitive citizens to not factor these fees into considerations as they decide to join the industry. Yes, those fees could be discouraging the very people the government wants to attract into the banking sector. For someone making N18,000 monthly and having to part with N300-N500 on fees and associated SMS charges, it could be a disincentive to bank.